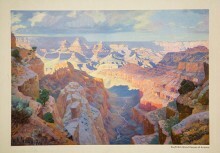 Deepen your knowledge of the Grand Canyon by making this exhibit your first stop on the way! The Santa Fe Railway and its concessionaire, the Fred Harvey Company, were masters at creating a vision of the Southwest. Jointly, their ephemeral publications promoting the merits of the “Indian Southwest” number in the tens of thousands. Their illustrated books, pamphlets, folios, menus, postcards, playing cards, timetables, calendars and even matchbook covers evoke vivid images of an adventurous journey through a previously remote world. Encounters with American Indian people and cultures were primary attractions for tourists and travelers alike. 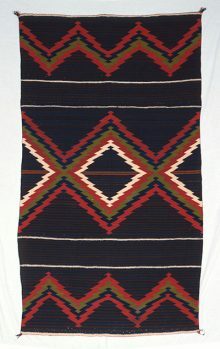 Images of the land and its people served both to whet travelers’ appetites and to provide souvenir reminders of Southwestern adventures. The two companies’ identities were so closely intertwined that one hardly knew where the Santa Fe Railway ended and the Fred Harvey Company began. Drawing on a rich resource of ephemera that features the Fred Harvey and Santa Fe Railway companies’ activities at the Grand Canyon and other key focal points in the Great Southwest, this exhibit will be well illustrated with examples of pamphlets, advertisements, postcards and other promotional materials produced by the Fred Harvey Company and the Santa Fe Railway. 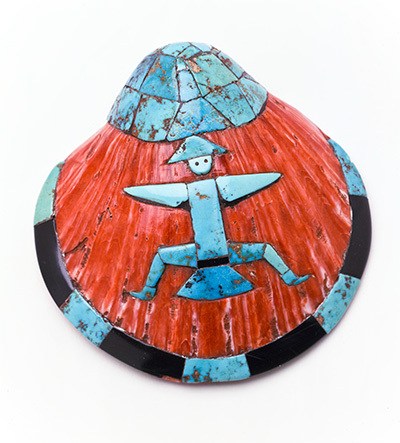 Pottery, textiles, jewelry and other art forms from the Heard Museum’s permanent collection will represent the Native peoples who inspired visitors through their artworks and cultures, further illustrating the story of the business partnership that was foremost in shaping the Southwest. Heard Museum Billie Jane Baguley Library and Archives librarian Betty Murphy, with curator Diana Pardue and Books & More Manager Lynn Bullock, have compiled a bibliography of recommended titles to learn more about Fred Harvey in the Southwest. Click here to download the reading list (PDF). Pendant, Zuni Pueblo. 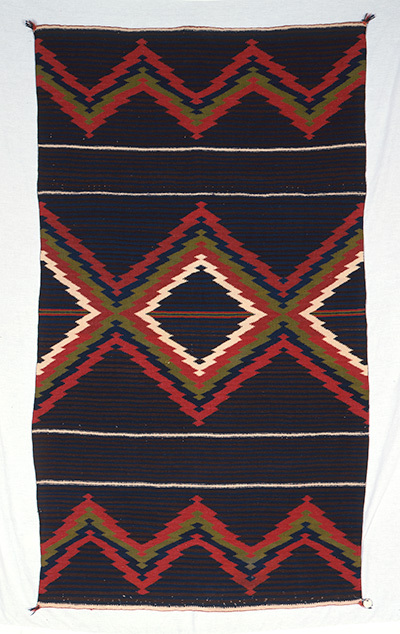 Fred Harvey Fine Arts Collection, Heard Museum, 1399CI.